U.S. Highway 69 connects southeast Kansas to Kansas City. Every election season, there are stories about issues. This is one of those stories. The issue: roads. A state Senate race in Pittsburg, Kansas, is one where the issue of roads--and whether or not they get built--could be pivotal. As the 2016 legislative session was winding down in May, Sen. Jake LaTurner sat for an interview on a bench just outside the Old Supreme Courtroom. The first-term Republican from Pittsburg was still about a half-year away from facing his first re-election challenge. But he could already anticipate one issue that would be big for his campaign. 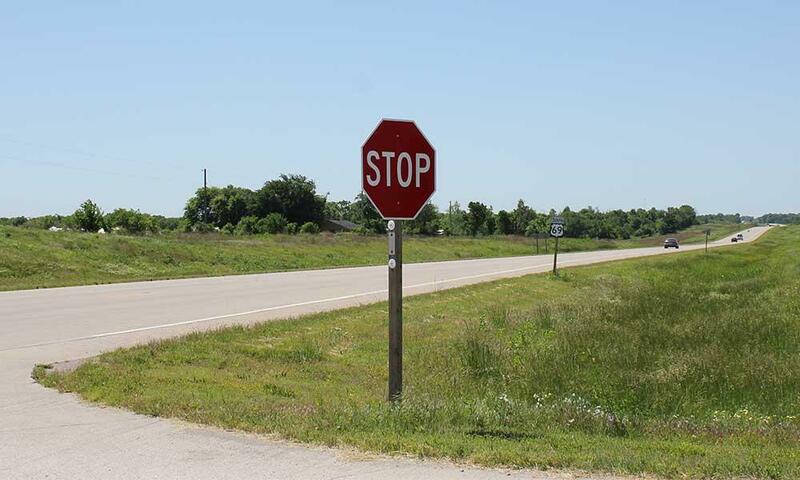 Earlier this year the Kansas Department of Transportation was scheduled to expand the 20-mile stretch between Pittsburg and Fort Scott to four lanes with a median — something locals had desired for years. Then, in April, that project was among 25 delayed by the department due to highway fund sweeps Gov. Sam Brownback and Republican legislators have required to balance the budget the last several years. A portion of the Highway 69 expansion has since been reinstated after LaTurner protested. But two-thirds of it remains in limbo, along with dozens of other road projects across the state. That could make re-election bids rockier, especially for Republicans associated with Brownback and his budgets. The state has had to cut many areas since the governor spearheaded large income tax reductions in 2012. 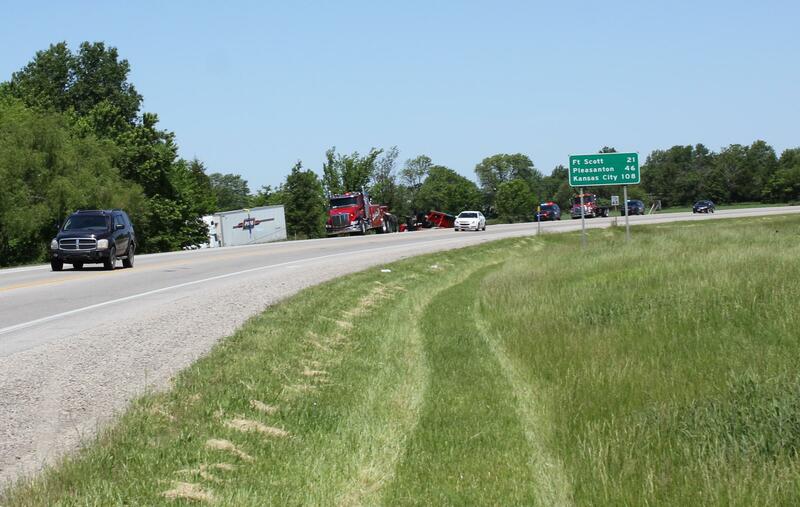 An accident sent a semi into a ditch by a bend in the road along U.S. Highway 69 just north of Pittsburg in May. Pittsburg State University was among them, but the school’s president, Steven Scott, said the public outcry went to a higher level when Highway 69 landed on the chopping block. Those who use the road are concerned about safety, Scott said. A 17-year-old high school student who planned to attend Pittsburg State died in a head-on collision north of town earlier this year. This isn’t the first time Highway 69 has factored into an election. Brownback went to southeast Kansas just a month before the general election in 2014 to reassure voters the expansion to four lanes was going to happen. He was seeking re-election against Paul Davis, a Democrat who had warned that Brownback was more committed to the income tax cuts than highway projects and other budget priorities. Brownback won the race, but has had to sweep increasing amounts from the highway fund every year since to keep the state general fund balanced. KDOT was still able to keep up with its scheduled projects for awhile. Interest rates were very low, and gas prices also fell. But as the fund sweeps passed $1 billion, something had to give, and Highway 69 was among the projects that did — at least for a while. After the delays were announced in April, LaTurner sent an open letter to Brownback decrying the inclusion of Highway 69 and asking that it be reinstated. Senate Minority Leader Anthony Hensley, a Democrat from Topeka, predicted that Brownback would try to help LaTurner, who has been generally supportive of the governor’s tax policies. 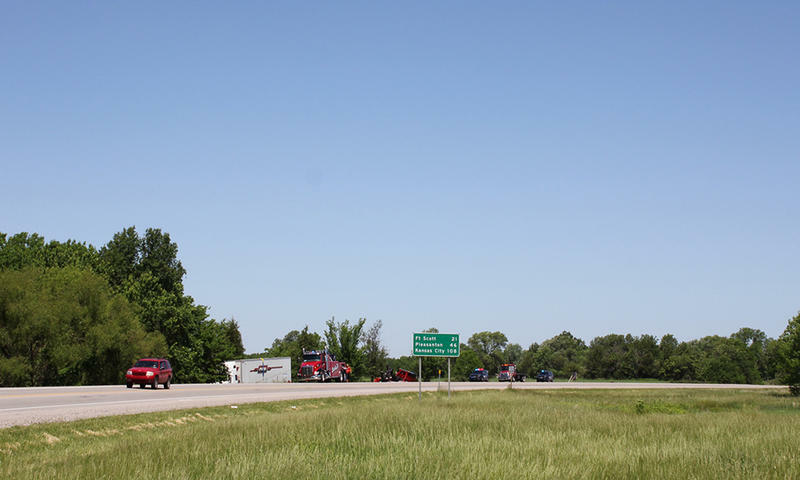 Weeks later, the governor announced that KDOT had freed up $25 million to put the Highway 69 expansion back on the schedule, and the contract would go up for bids in October, a month before the election. Still, that’s only about one-third of the money the state will need to complete the project. And more than 20 others remain in limbo, including one in Hensley’s district. Hensley said the Democrats would still use the highway delays as campaign fodder. 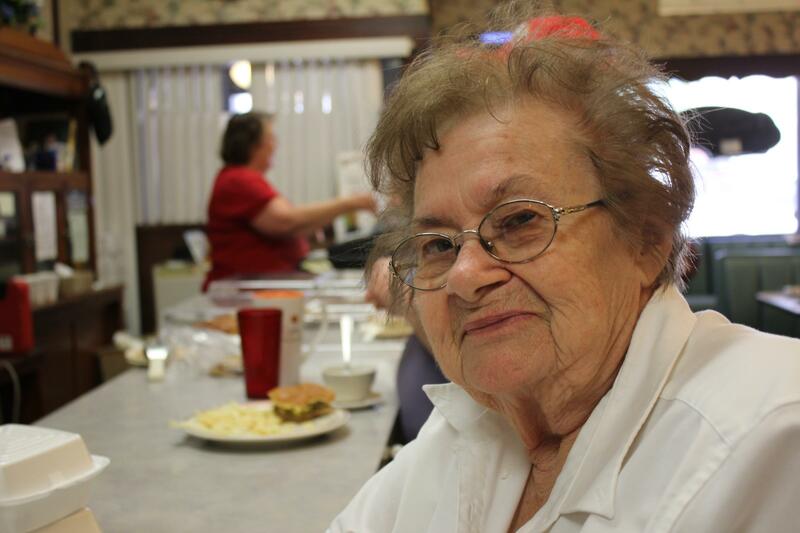 Wilma Herman, who has lived in Pittsburg for more than 50 years, said the residents of the state’s most economically-depressed region feel little love for anyone in Topeka. The governor’s spokeswoman told the Topeka Capital-Journal that he was following through on the assurances he made in 2014 by freeing the $25 million to start the Highway 69 expansion. But some in southeast Kansas remain skeptical that even money will materialize. Melody Brennon, who works at an area school, noted that during a recent special session, prominent legislators suggested using that money to satisfy a school finance court ruling. The Legislature ultimately tapped other sources. But given the state’s precarious fiscal position, and the on-again/off-again history of the Highway 69 expansion, Brennon said she won’t believe it’s really happening until the shovels hit the dirt. 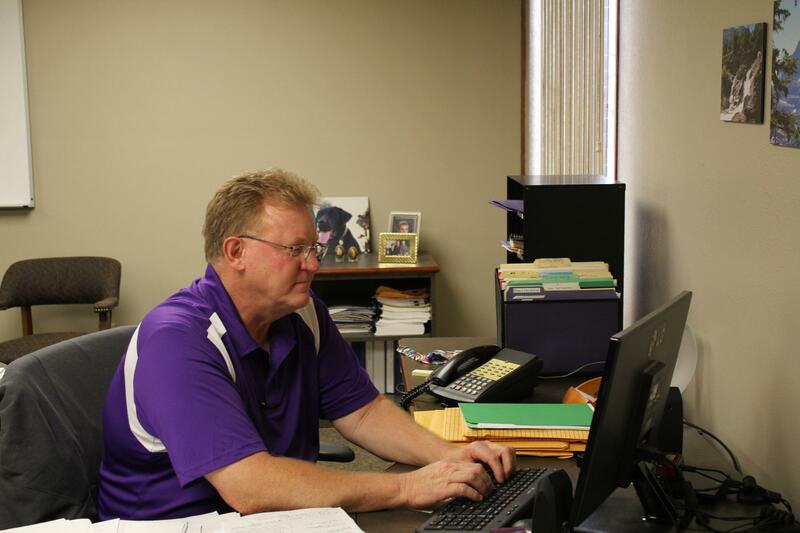 Destry Brown, superintendent of schools in Pittsburg, in his office. Destry Brown, the superintendent of schools in Pittsburg also said voters need to broaden their focus beyond Highway 69 to the overall budgetary policies that pulled the money for that project and the others. It remains to be seen how much the road construction delays will factor into the legislative elections for Kansas House and Senate. But Democrats aren’t the only ones who plan to make them an issue. 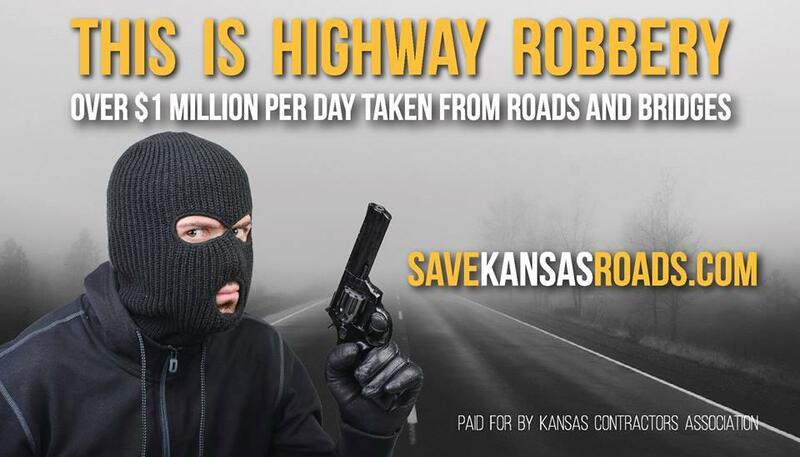 The Kansas Contractors Association, a group that represents roadwork companies, had warned for years that the highway fund could only take so many sweeps before projects were put off. Bob Totten, the association’s executive vice president said the group plans to be active in the upcoming elections, letting voters know whether their representatives voted for tax and spending policies that necessitated the highway fund sweeps. The Kansas Contractors Association has placed prominent billboards across the state. Totten said that unless the state changes its tax policy, the delayed projects will remain delayed. Andy Marso is a reporter for KHI News Service, a partner with us in a statewide collaboration covering elections in Kansas. Follow Andy on Twitter @andymarso. A Kansas senator says a highway project in his district is back on schedule, drawing protests from Democrats who say Republican Gov. Sam Brownback picked that project over others to help a political ally in an election year. The project to widen U.S. Highway 69 north of Pittsburg from two lanes to four was one of 25 delayed in April to help balance the state budget. It sits in the district of Republican Sen. Jake LaTurner, who sent an open letter to Brownback decrying the delay.